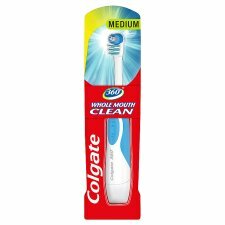 The Colgate 360° battery toothbrush combines a round oscillating head with a fixed set of bristles for a comprehensive whole mouth clean. 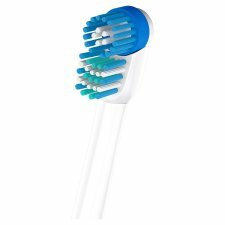 The dual-action brush head cleans between teeth and along the gum line, and effectively removes more bacteria than a manual toothbrush. A unique cheek and tongue cleaner helps prevent odour-causing bacteria from forming and freshens your breath.